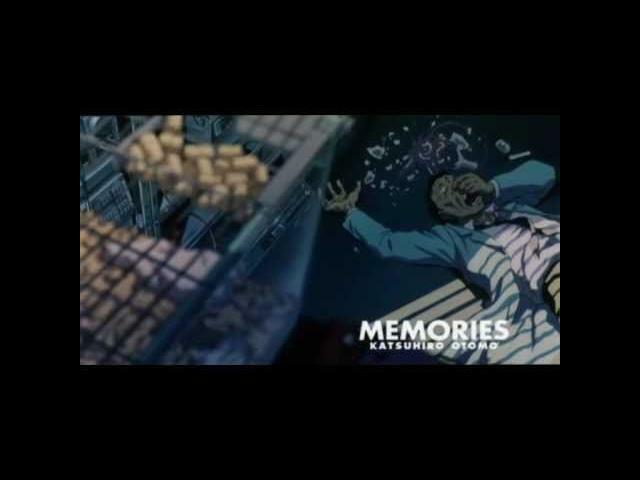 "Memories" is made up of three separate science-fiction stories. In the first, "Magnetic Rose," four space travelers are drawn into an abandoned spaceship that contains a world created by one woman's memories. In "Stink Bomb," a young lab assistant accidentally transforms himself into a human biological weapon set on a direct course for Tôkyô. The final episode, "Cannon Fodder," depicts a day in the life of a city whose entire purpose is the firing of cannons at an unseen enemy.